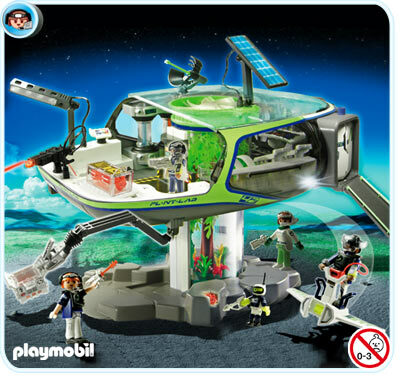 Although Lego will always have a near and dear place in my heart for providing my first high school job, Playmobil was the toy of choice around my house. I preferred the zoo and ranch themed sets for their intricate animals. My sister also had an epic Victorian dollhouse, complete with tiny dining ware set and a florist's cart, which was the envy of the neighborhood. I recently began receiving the catalogs in the mail again and - the level of detail on the new sets is spectacular. I am continually blown away by the variety of plant accessories available in the different locales, particularly the exotic jungle flora in the pirate set (copied below). "The year is 2113, and we, E-Rangers, landed on an unknown planet a short time ago. We produce oxygen with the help of solar planets and special plants. This is vital for us to live." 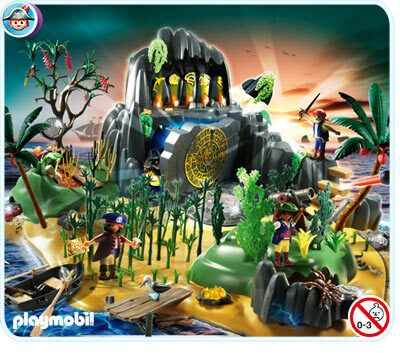 I identify bamboo, palms and a Heliconia in the top right of the Pirate island set.